MGT Europe – MGT-2010 Laser Monitoring System Acoustic Room Monitoring: is specially designed for acoustic room monitoring. This system is operated by transmitting an invisible laser beam to the window of the target room. The window pane is slightly vibrating in accordance to the sound waves emanating from speech. The angle of reflection will be slightly changed. The receiver picks up the reflected beam that is modulated by the window pane vibrations. The positional change of the reflected beam will, of course, also be detected. The picked up speech can now be monitored and recorded. The Laser Monitoring System consists of a laser transmitter MGT-2010 Tx and a laser receiver MGT-2010 Rx. 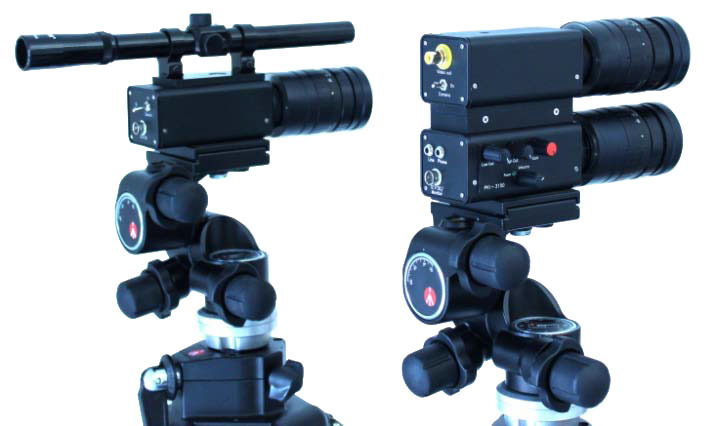 Both transmitter and receiver can be mounted on a gearhead of a tripod. 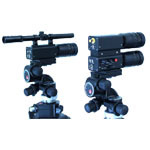 The transmitter is supplied with a telescopic sight to aid adjustment of the laser beam. An IR-sensitive B/W CCD camera is used for detection and adjustment of the reflected laser beam. The audio signal, which is gained from the reflected laser beam, will be amplified and fed to an adjustable headphone input and a line output respectively. High-pass and low-pass filters may be used to improve audio quality.